We are pleased to announce the establishment of The Leah Baker Fowler Fund with POISE Foundation. The Fund was established by Tia Baker and Leah Baker Fowler of Cupcakes Most Wanted, and focuses on providing support to children fighting battles against cancer, as well as other charitable interest as determined by the dynamic mother-daughter duo. 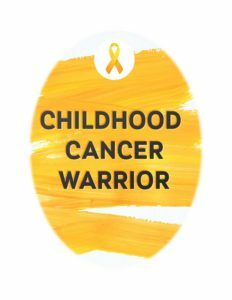 Leah’s interest in helping children with cancer was stirred by her mother Tia’s triumphant battle against breast cancer, her natural philanthropic leanings, a desire to share her good fortune with others and to make a difference in the world. POISE Foundation is a 501(c)(3) organization and was established to allow our Pittsburgh community to collectively pool their time, talents, treasures and testimonies to support worthy charitable causes in our Region and beyond. Throughout its 36-year history, POISE has worked with many individuals, groups and organizations who are interested in improving lives and their community through charitable giving. With these partnerships, POISE has provided more than $9 Million in scholarships, grants and other financial support. It is a natural fit for POISE to support Tia and Leah with their philanthropic endeavors. We invite you to join Cupcakes Most Wanted efforts! Your tax-deductible donations to the Fund will help increase gifts towards worthy charitable causes. Please make checks payable to POISE Foundation, noting The Leah Baker Fowler Fund on the memo line, and mail to: POISE Foundation, Two Gateway Center, Suite 1700, 603 Stanwix Street, Pittsburgh, PA 15222. Or, you can easily make donations online at www.poisefoundation.org, click the Donate Now button, and select The Leah Baker Fowler Fund from the drop-down box.